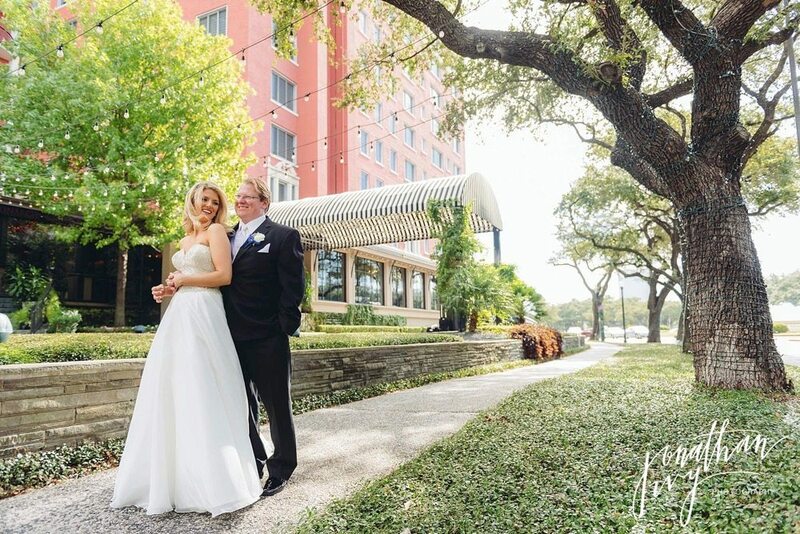 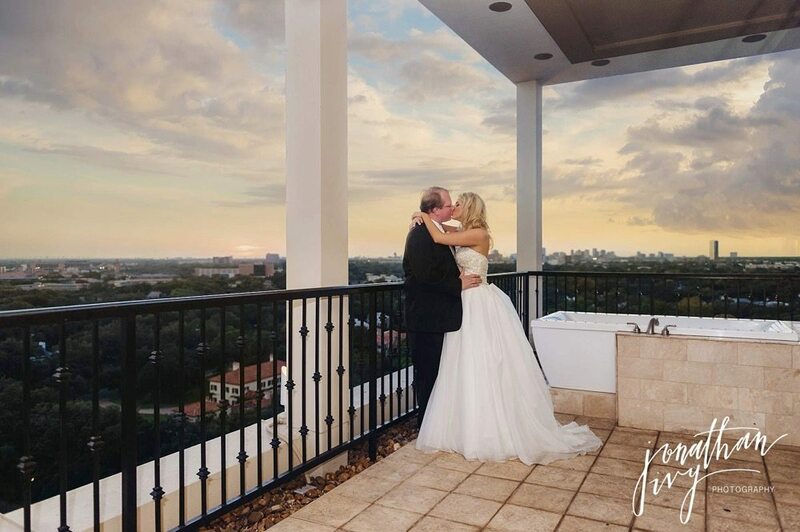 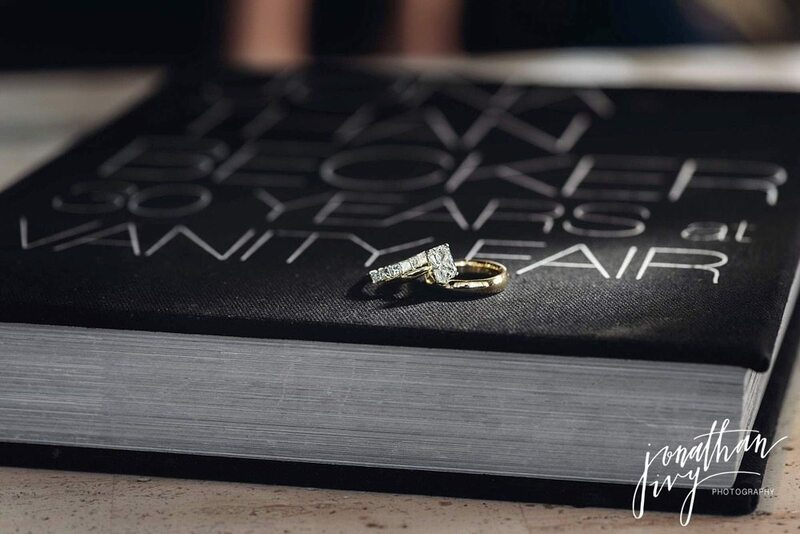 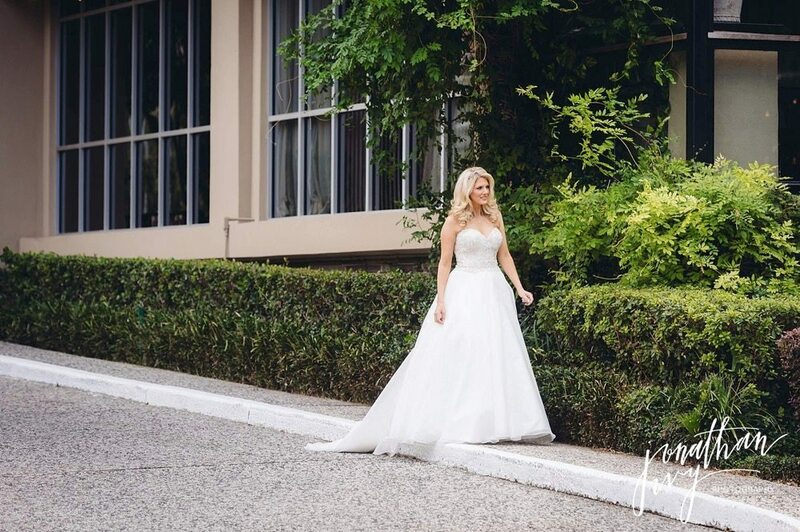 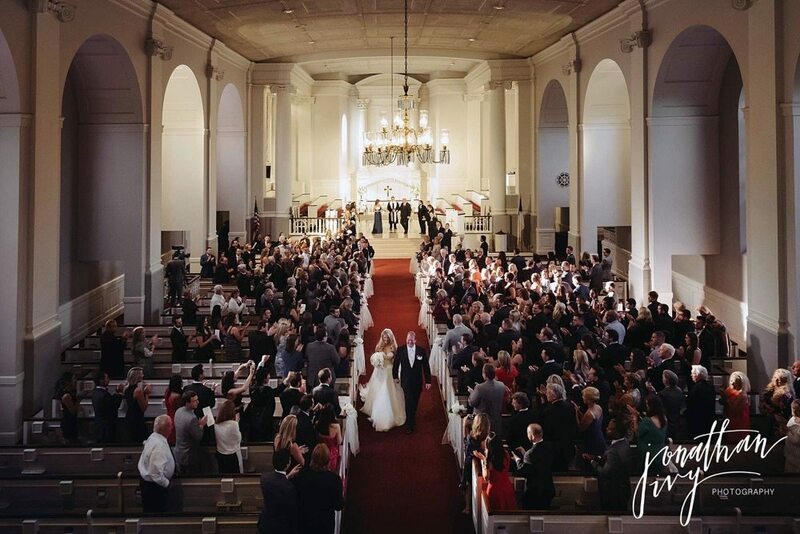 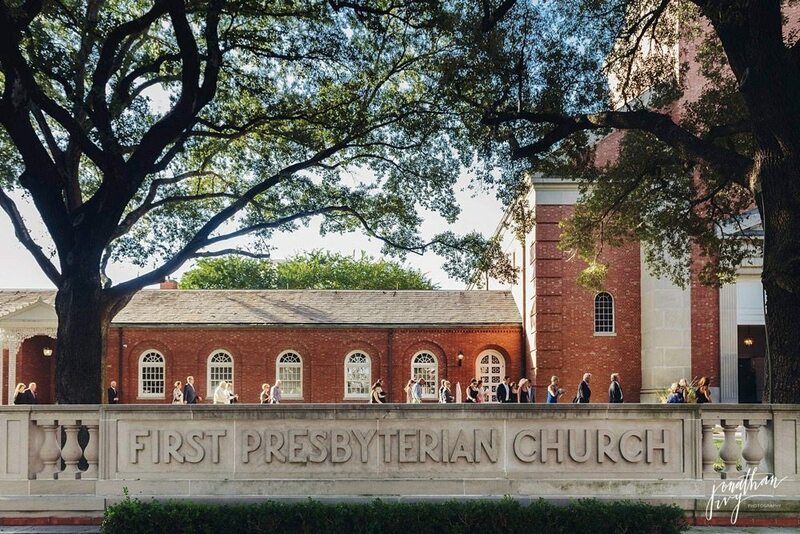 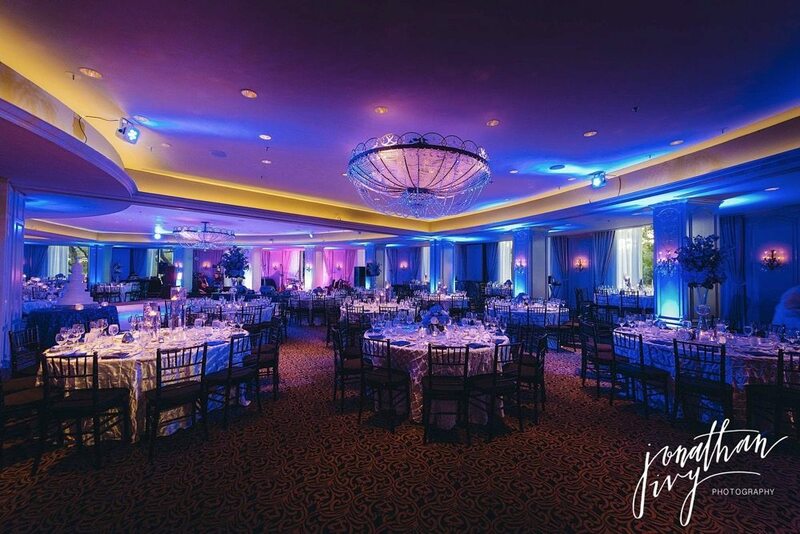 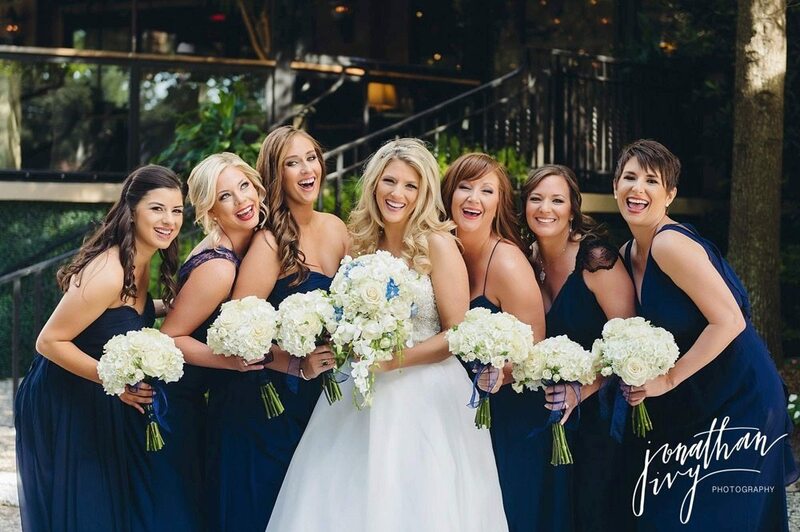 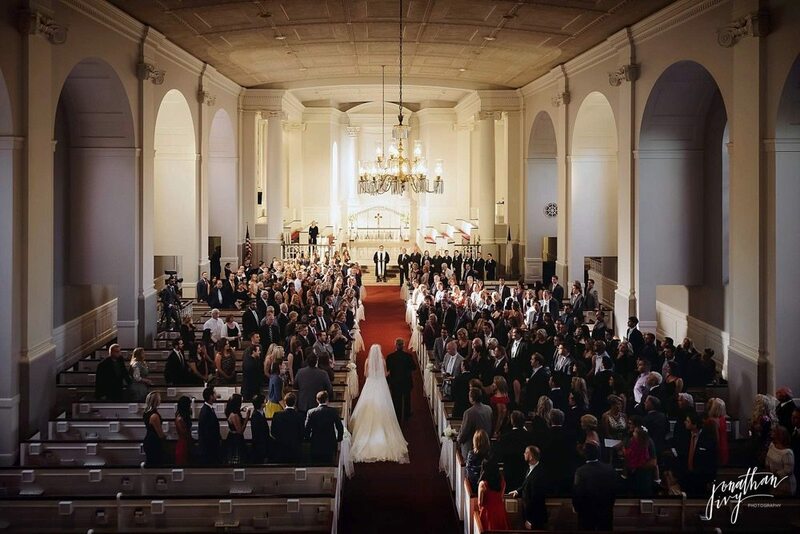 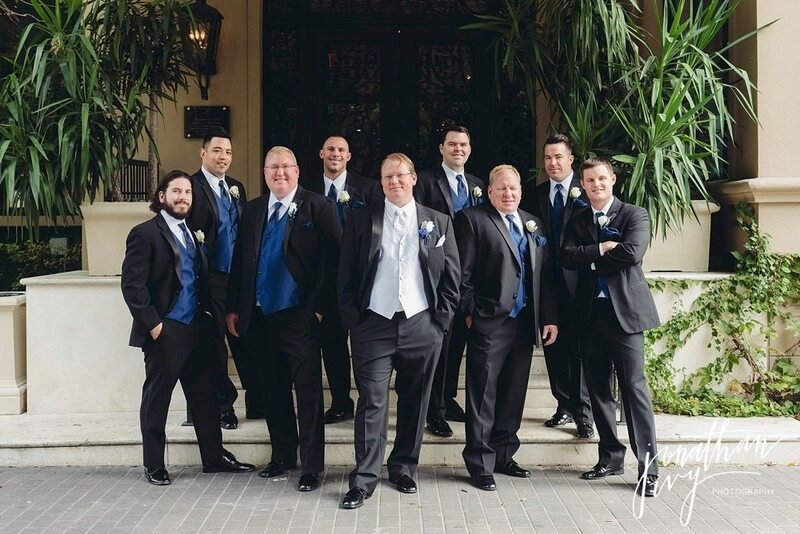 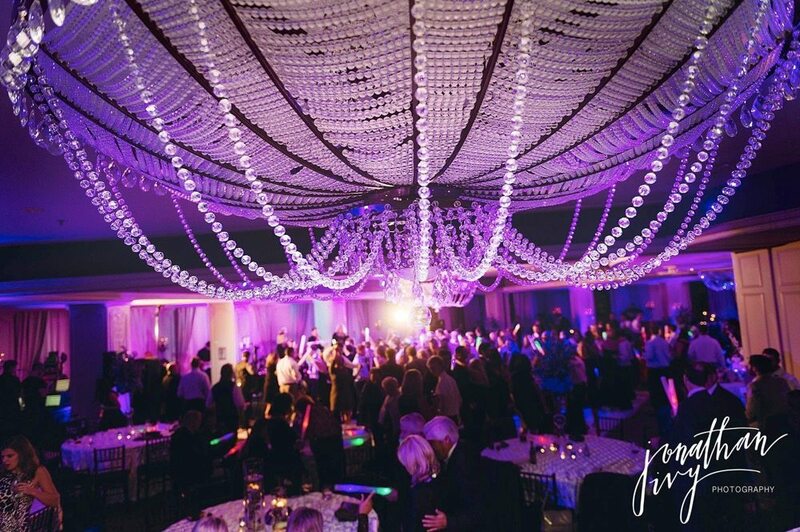 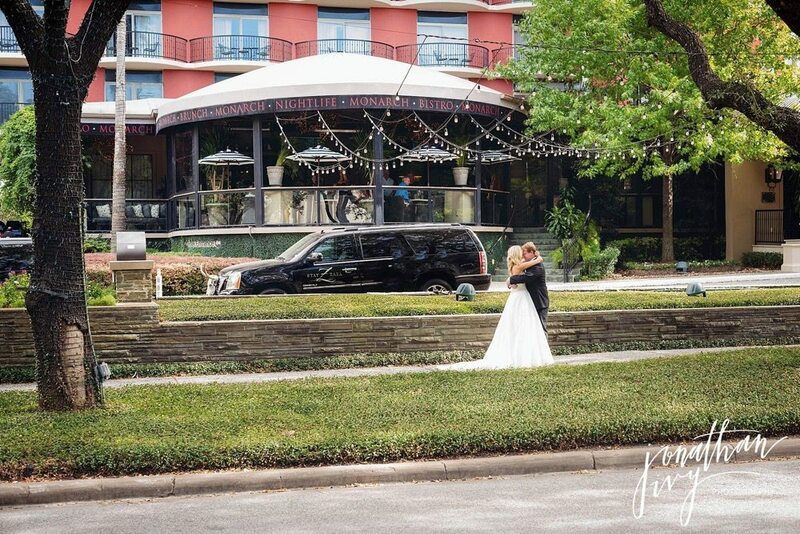 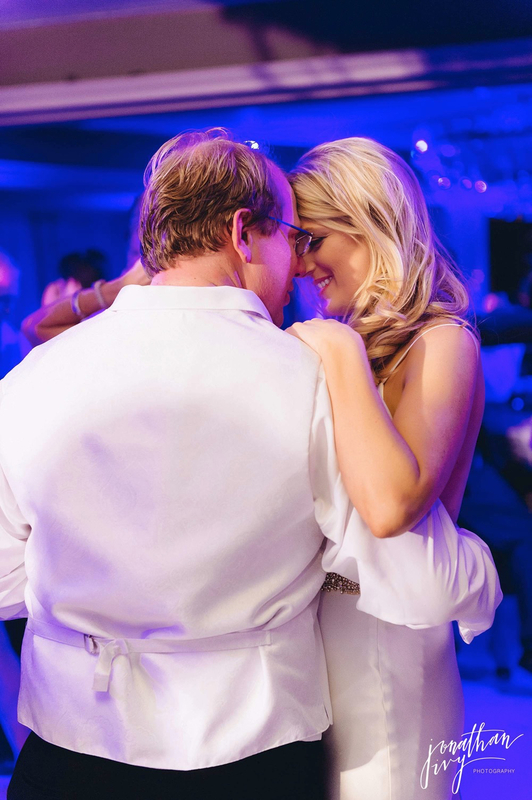 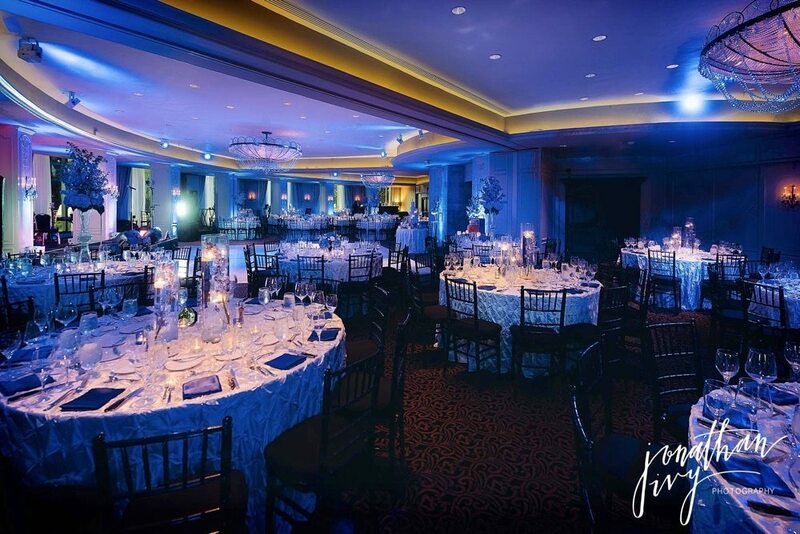 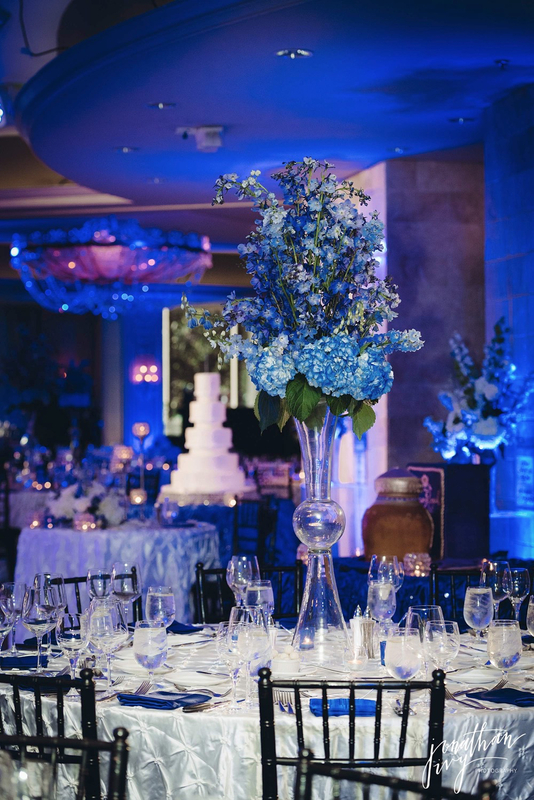 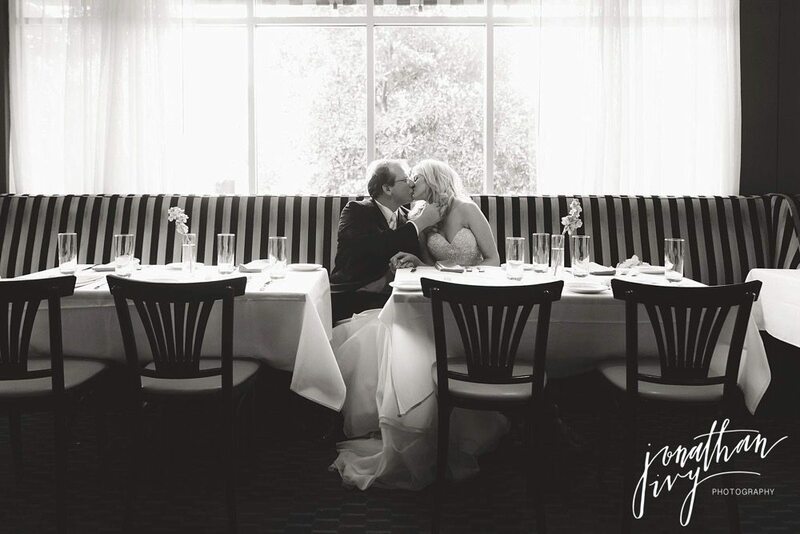 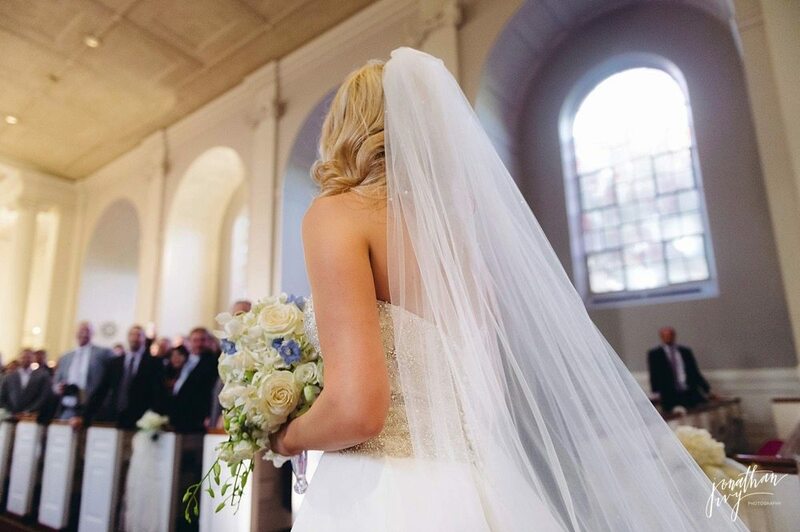 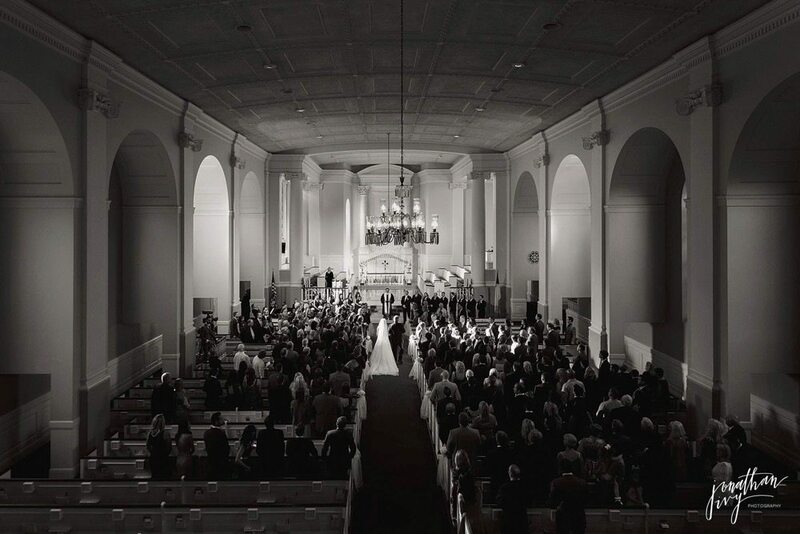 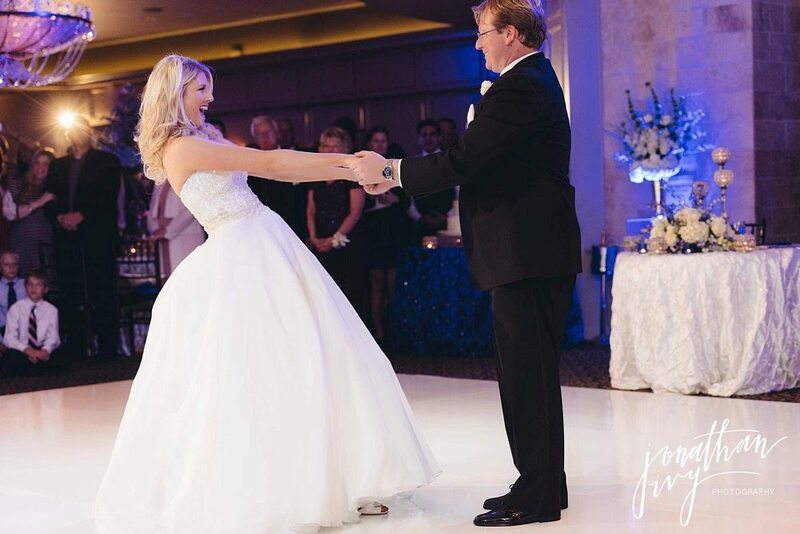 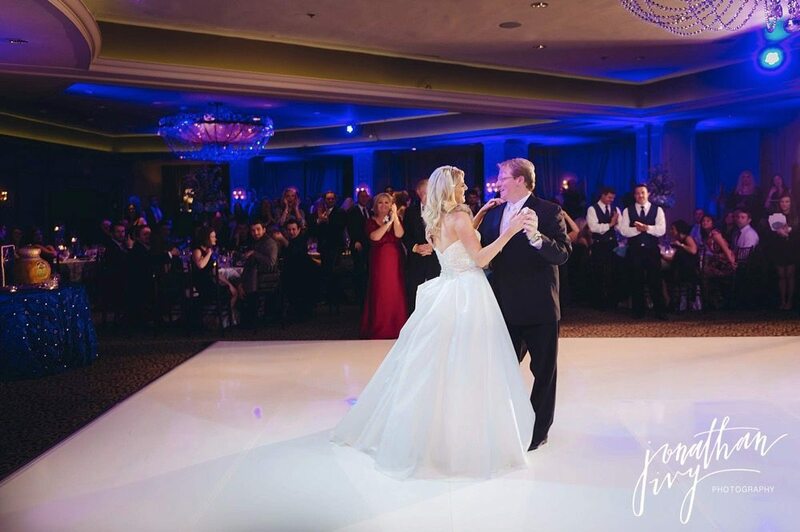 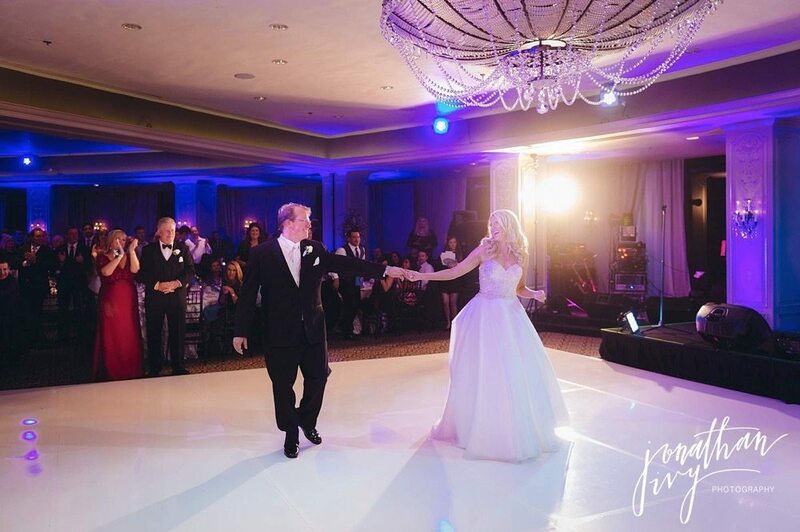 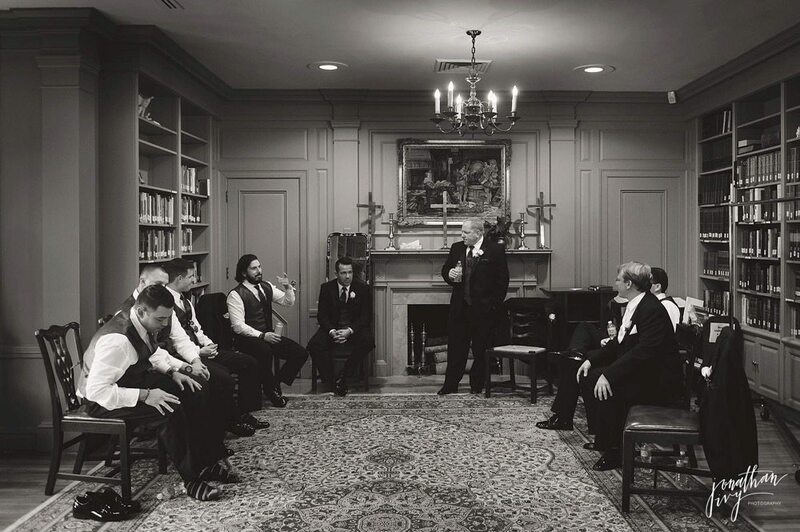 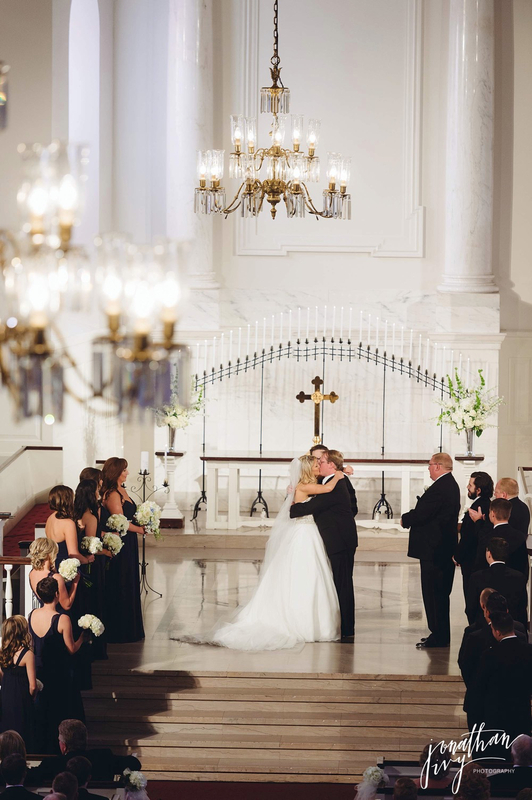 Oh y’all, we are so excited to share this GORGEOUS Hotel Zaza Houston Wedding with you all. 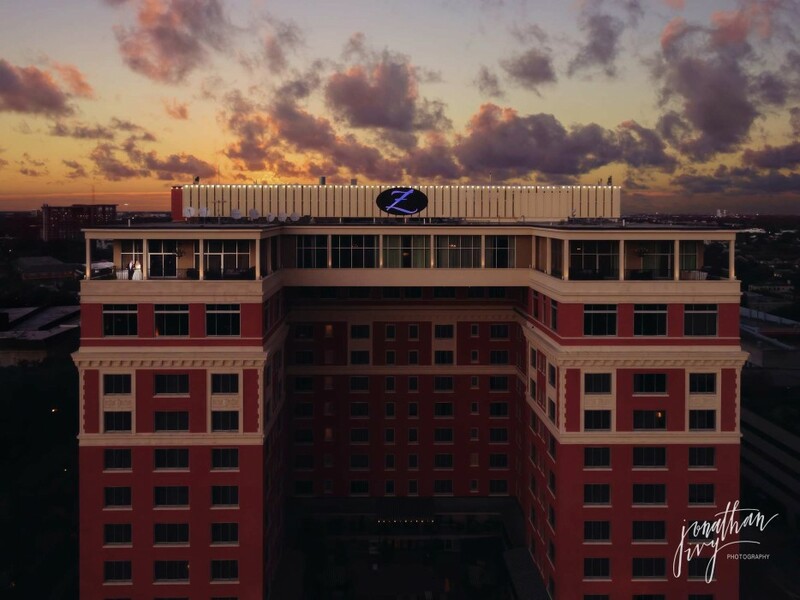 Hotel Zaza is quickly growing on us as one of our favorite venues to shoot at. 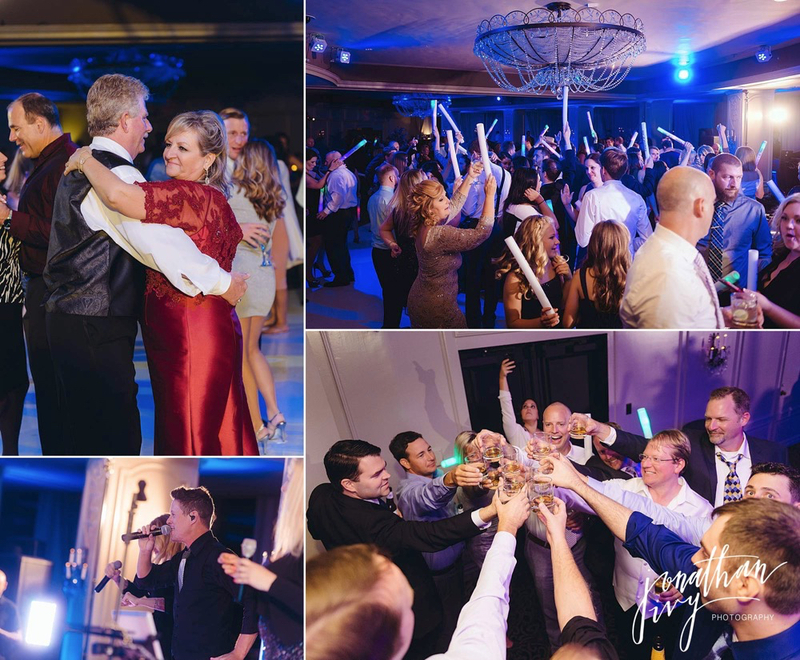 Take this and add in the perfect couple and October 17th, 2015 goes down in the books as one of the most fun nights ever! 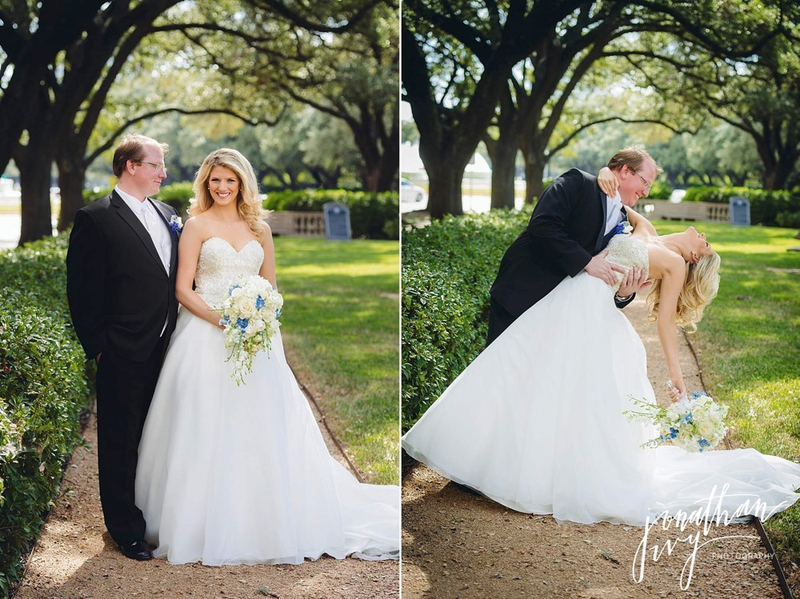 So typically I, Samantha, get in trouble for posting way too many photos on each blog post however the tables turned this time, Jonathan was the over poster. 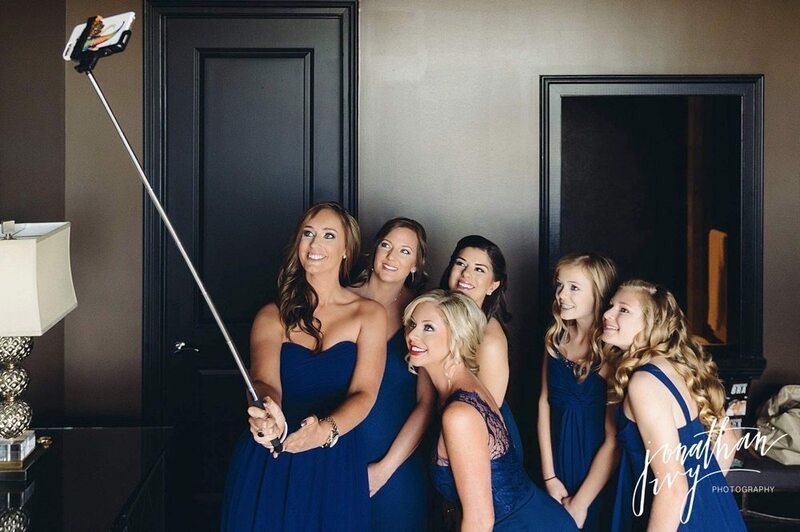 The only difference is, I love it! 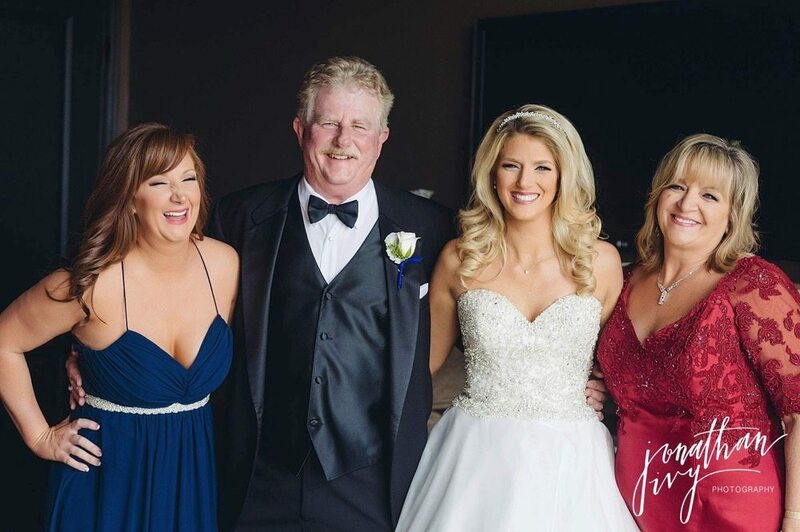 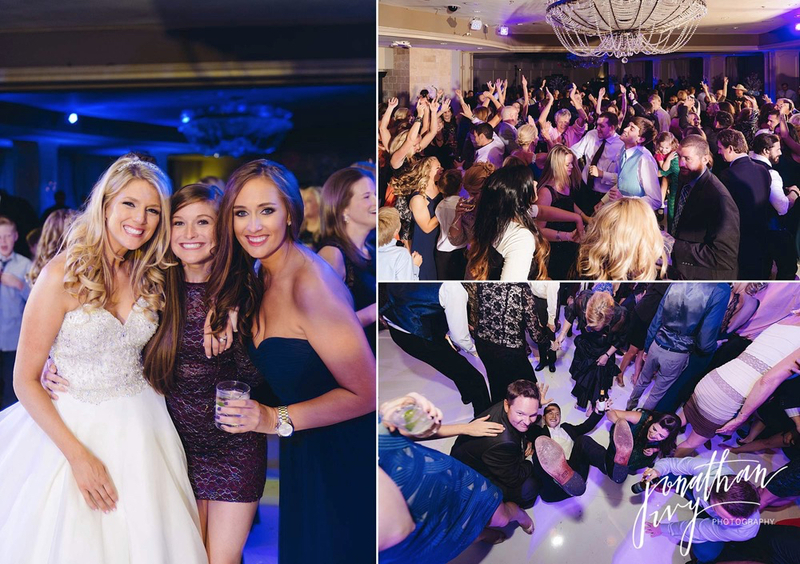 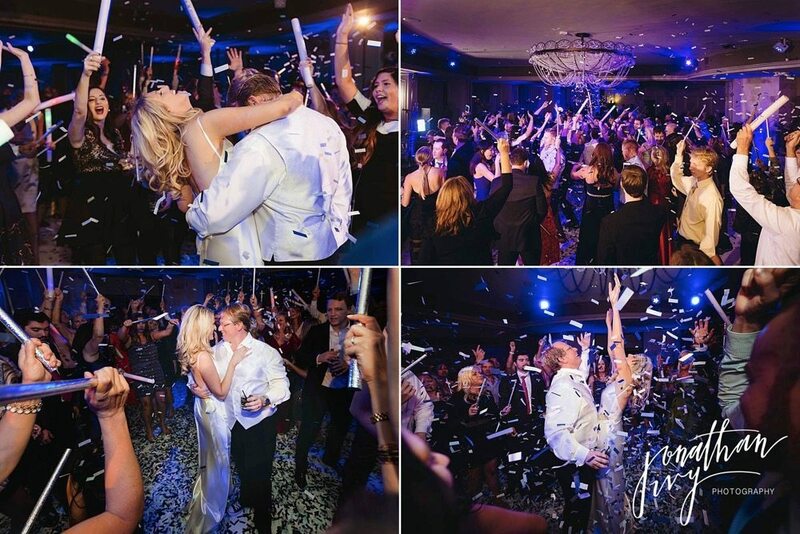 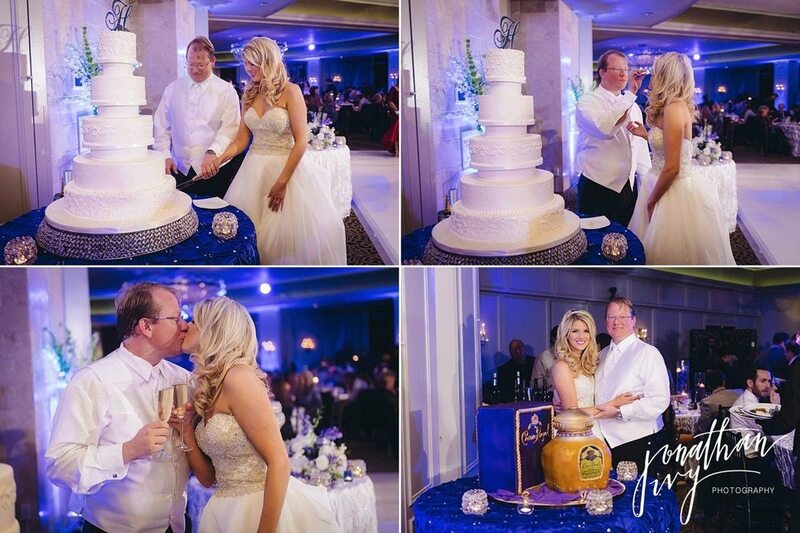 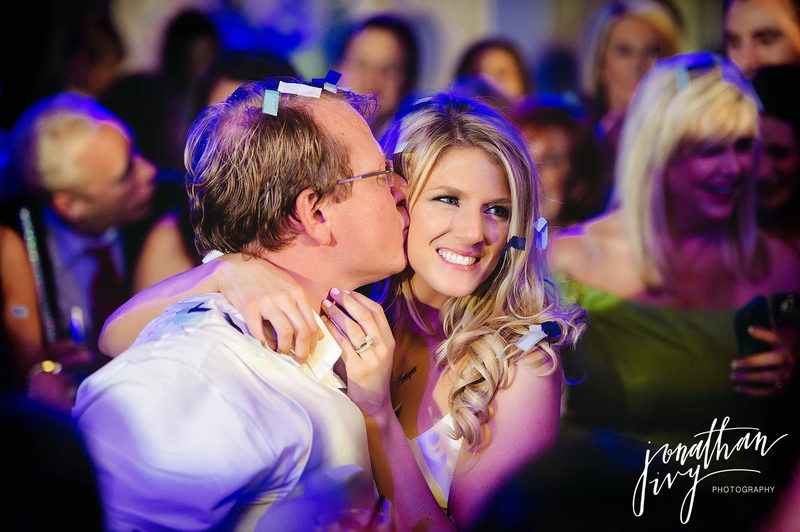 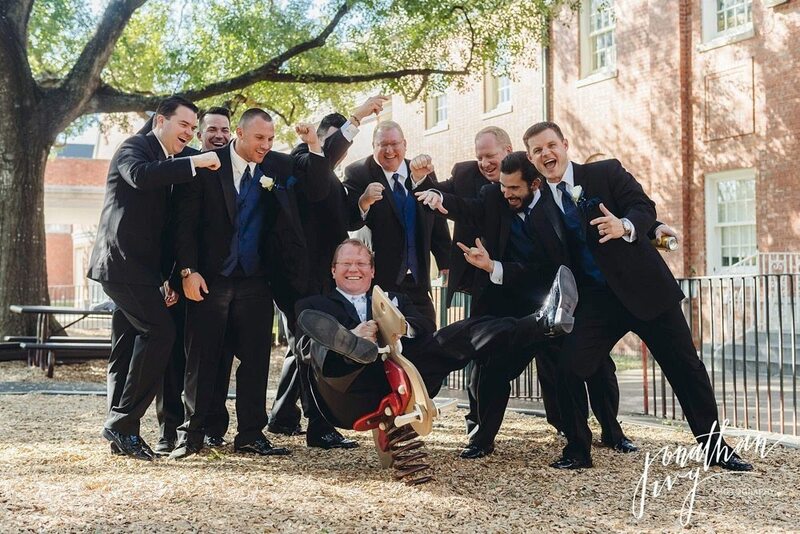 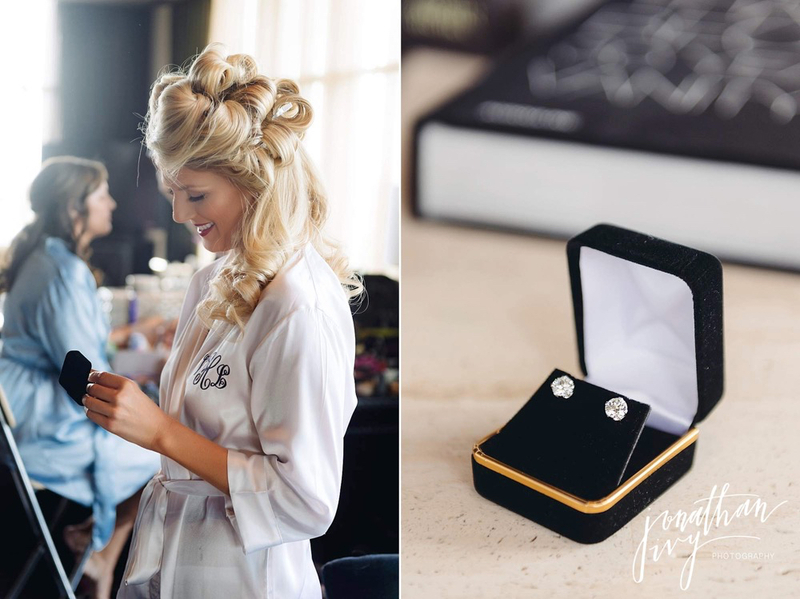 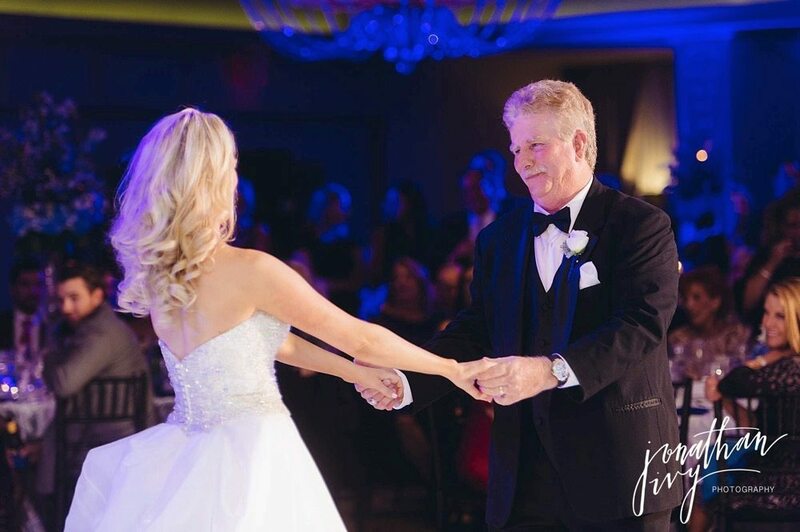 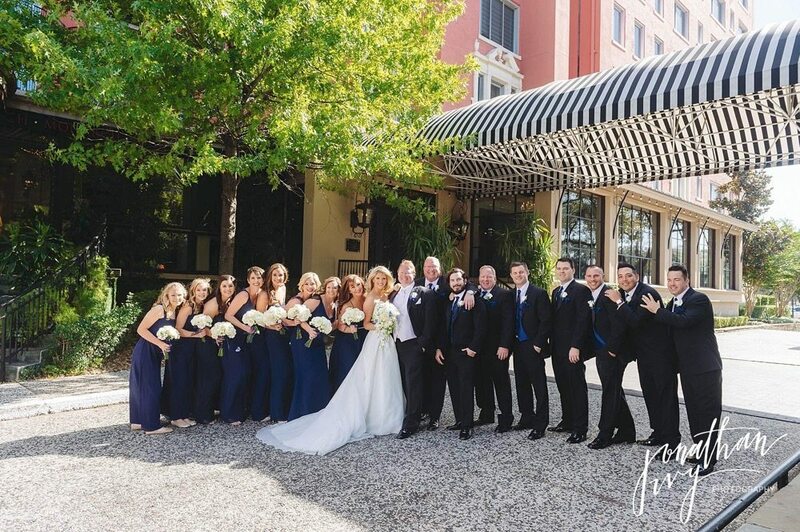 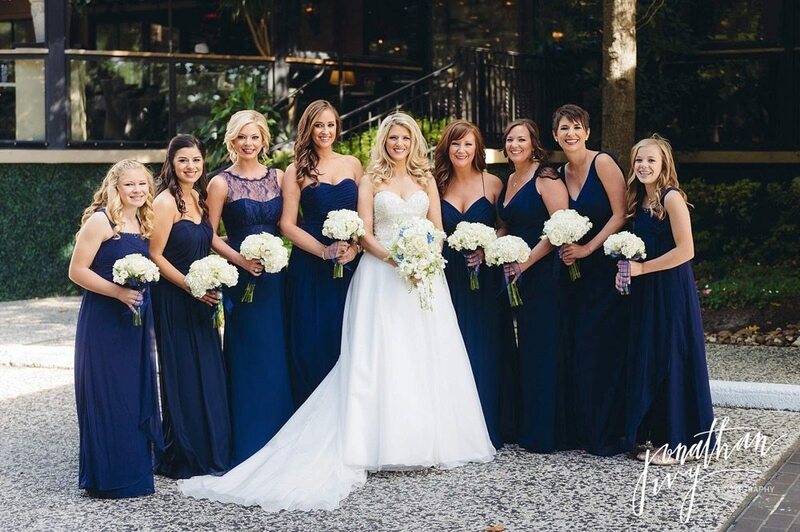 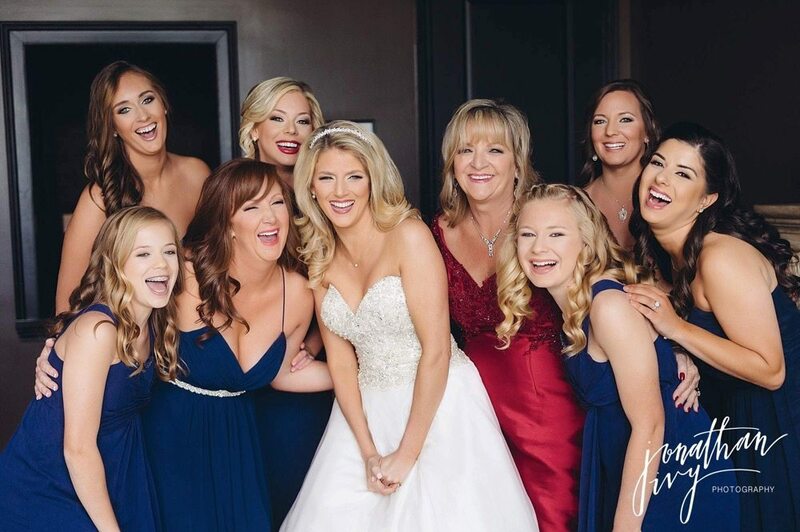 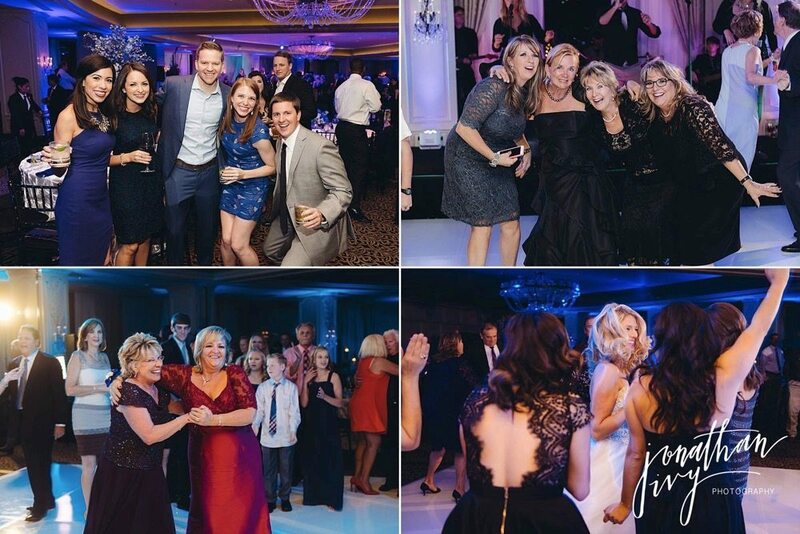 So here are several of our favorites from the beautiful Harper Wedding at Hotel Zaza with Keely Thorne Events. 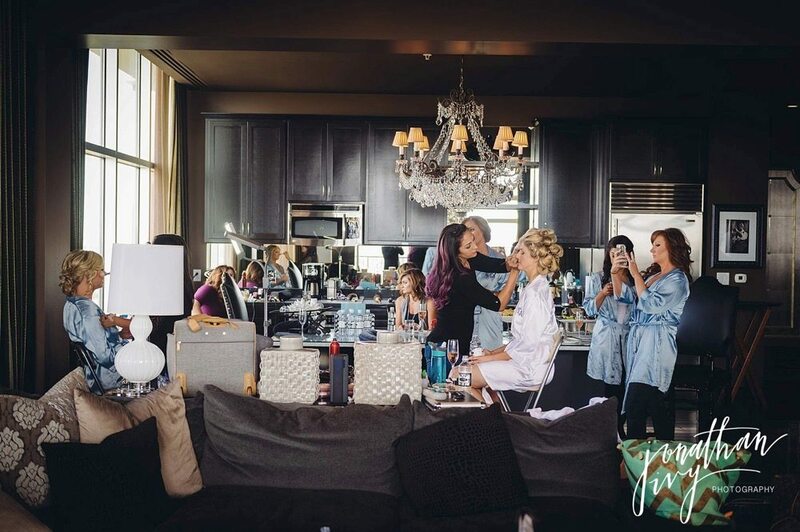 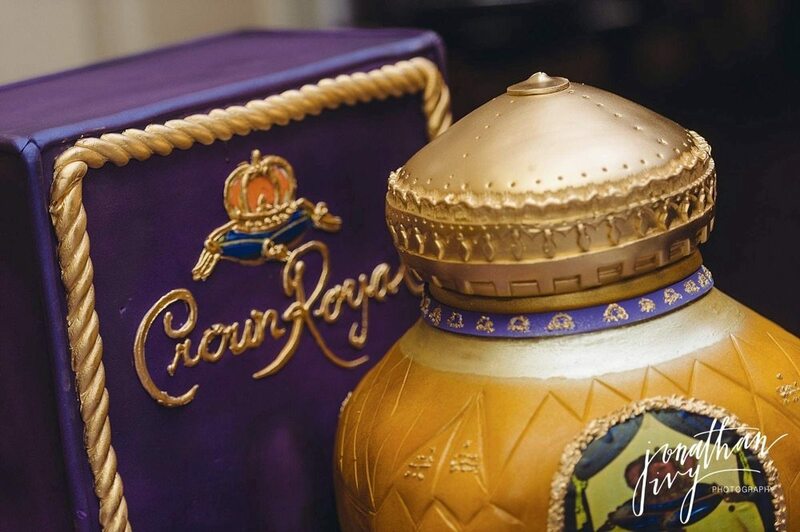 Getting ready photos in the Black Label Suite at Hotel Zaza will never let you down. 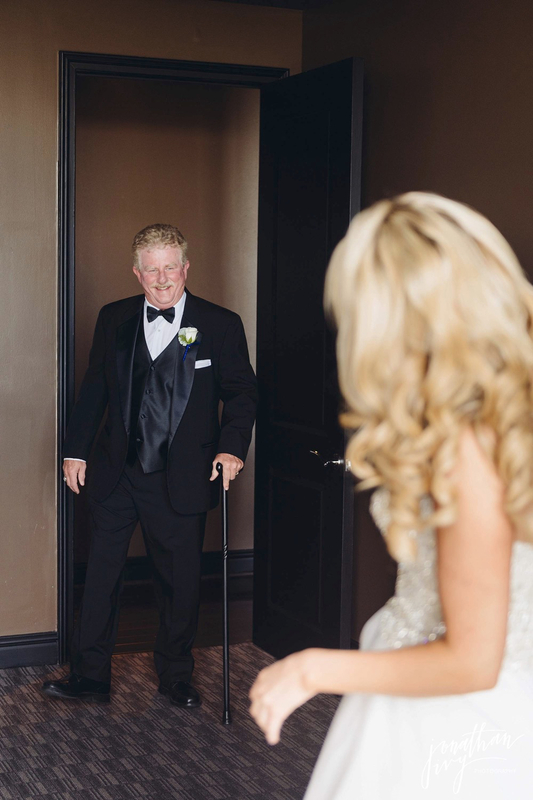 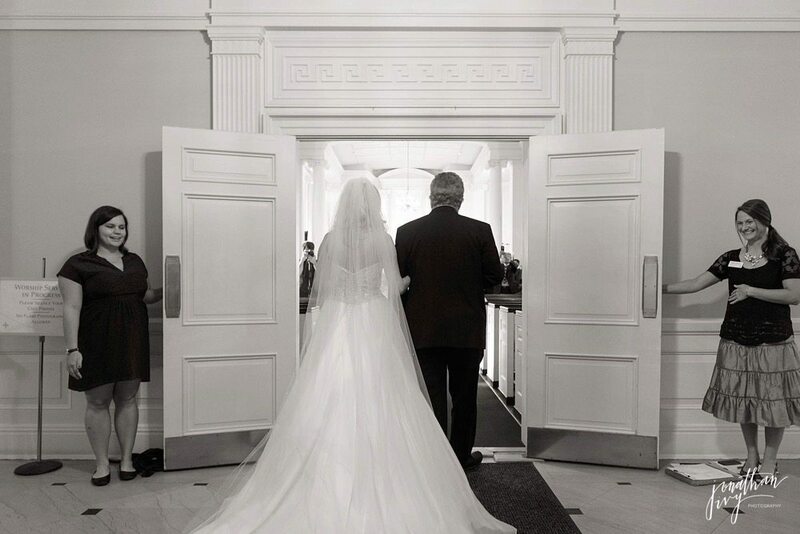 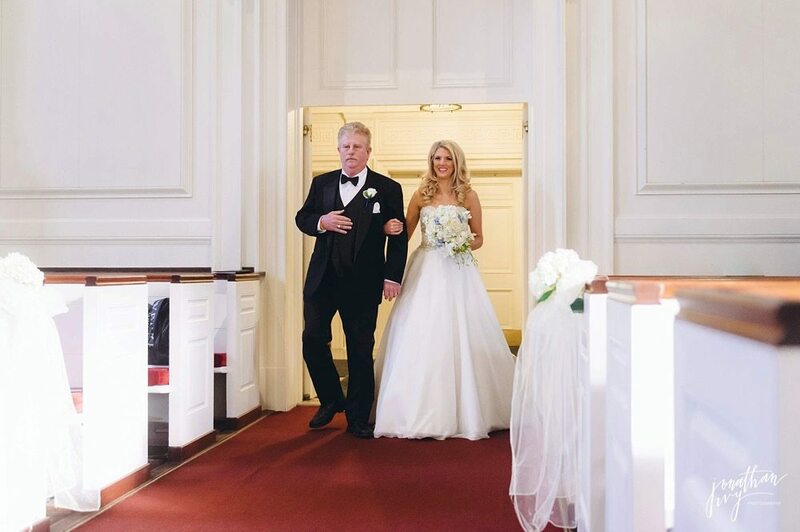 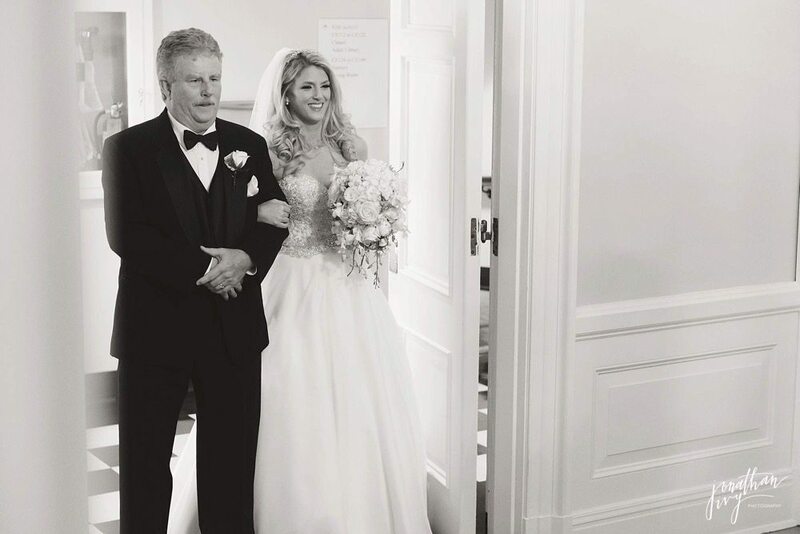 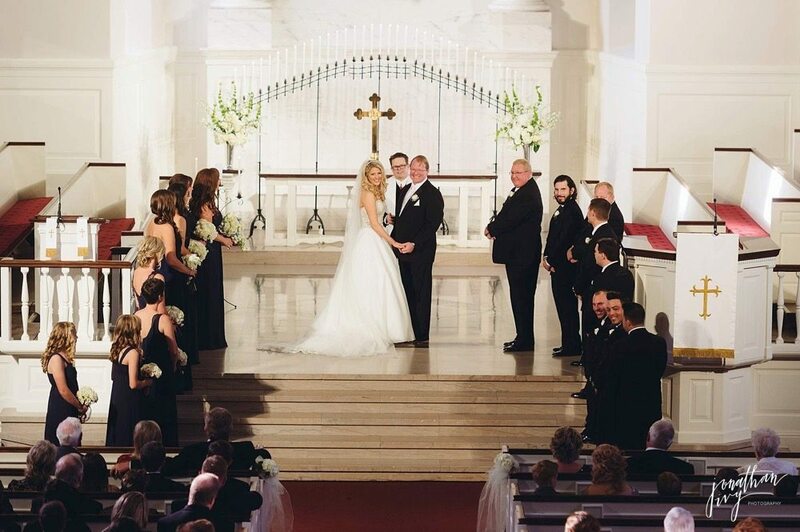 First Look with dad is always a tear jerker! 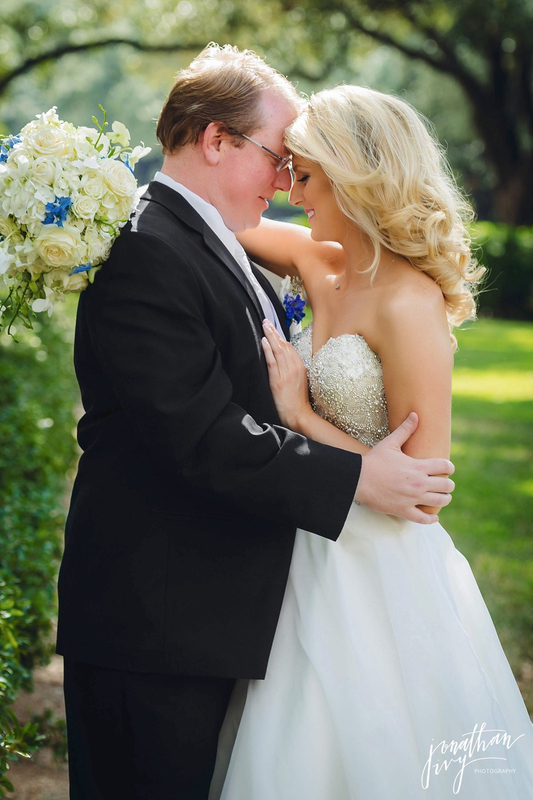 The 1st Look with the couple. 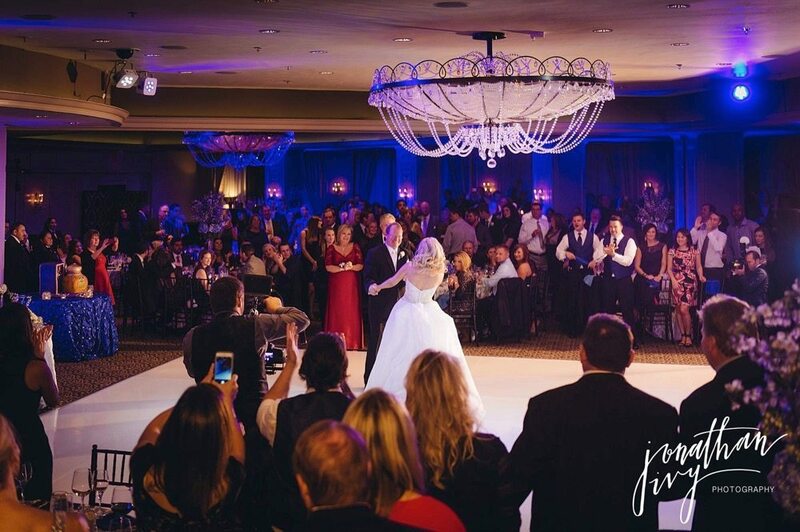 The reception followed at Hotel Zaza in the Phantom Ballroom. 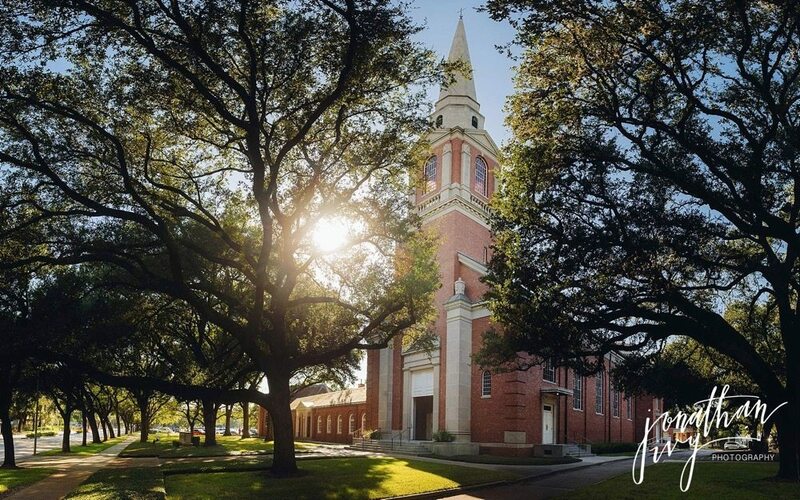 We are blessed to live in a beautiful city. 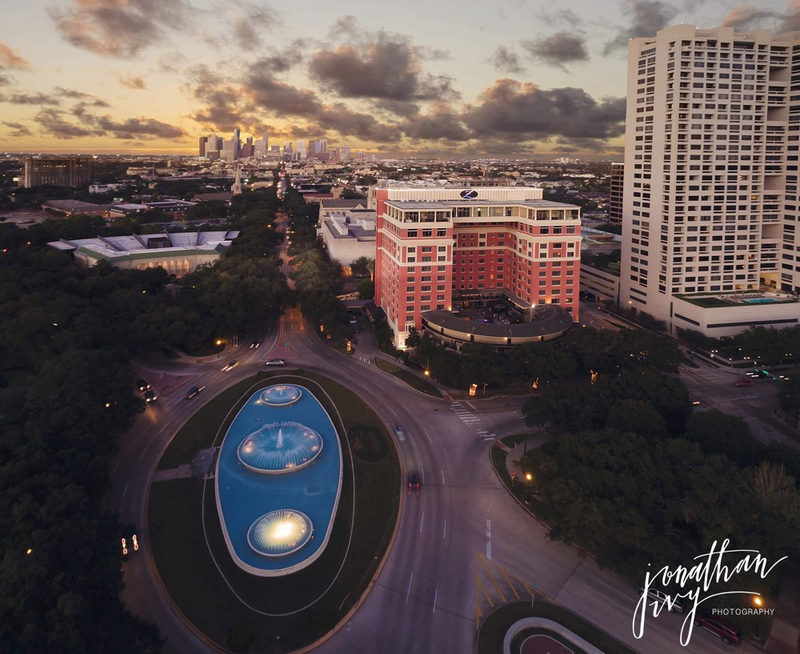 Houston showing off its glory! 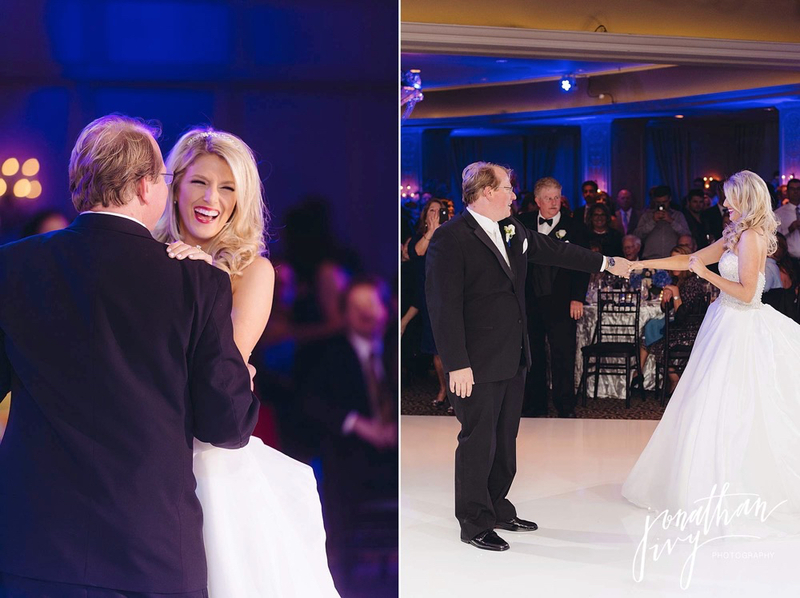 This is one of the many reasons why here at Jonathan Ivy we use a minimum of 2 photographers per event. 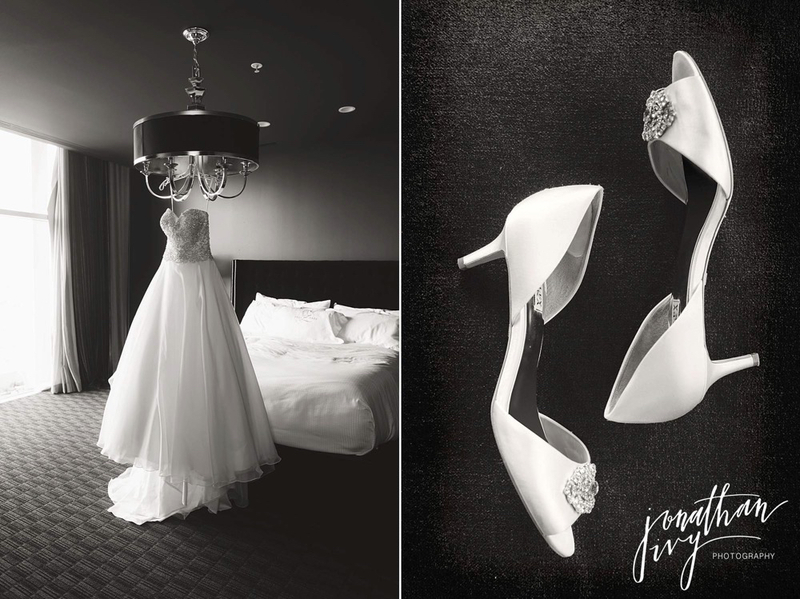 The shot above and below is the exact same photo from 2 different perspectives. 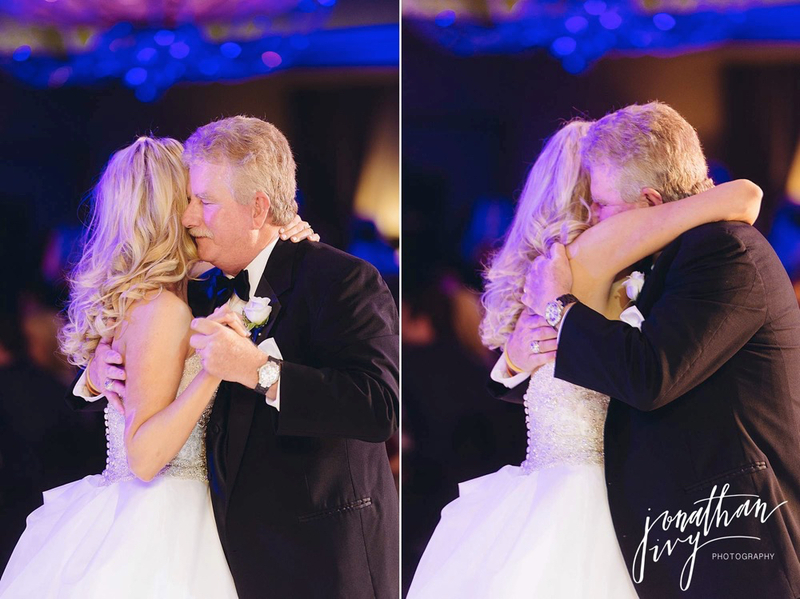 Priceless moments like this one deserve more than 1 perspective. 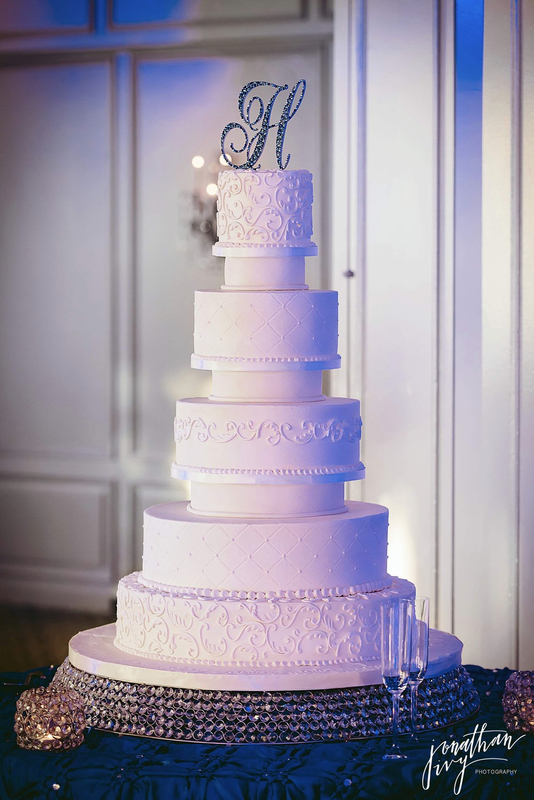 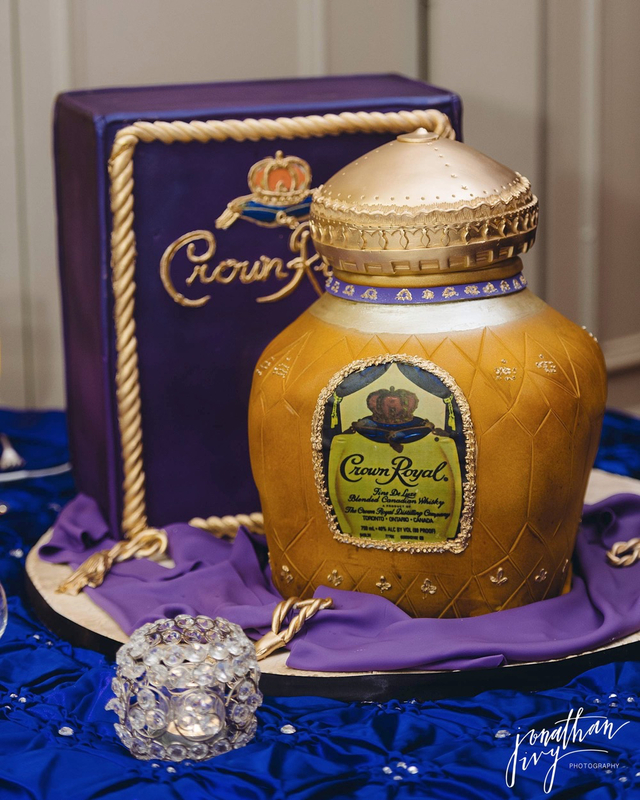 Once again Edible Designs by Jessie knocked the cakes out of the park! 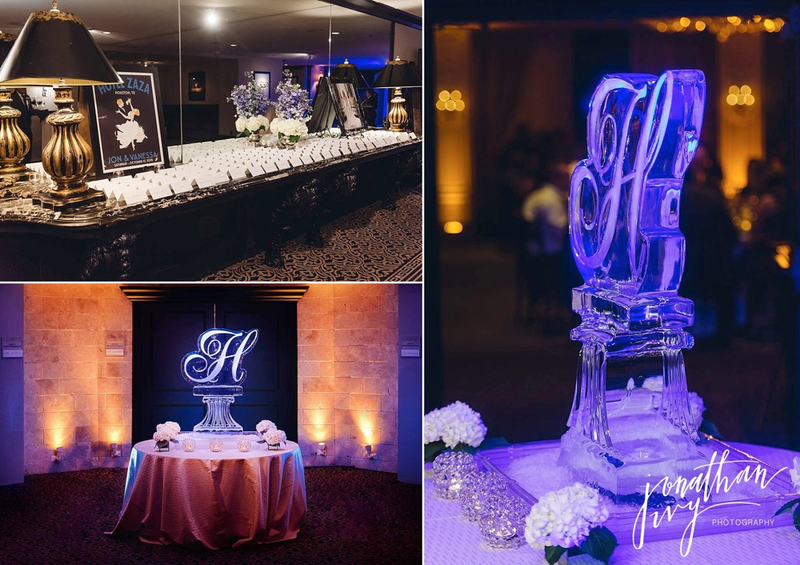 A HUGE thank you to Meghann with Keely Thorne Events. 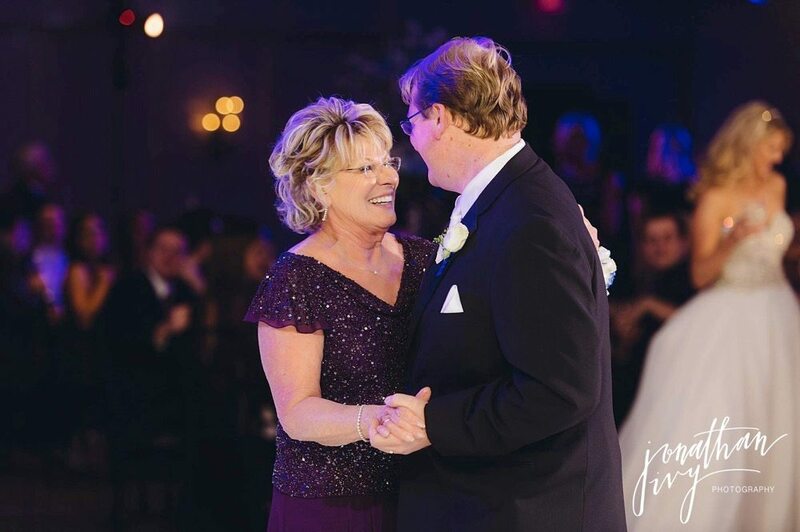 Without her this would not have been possible! 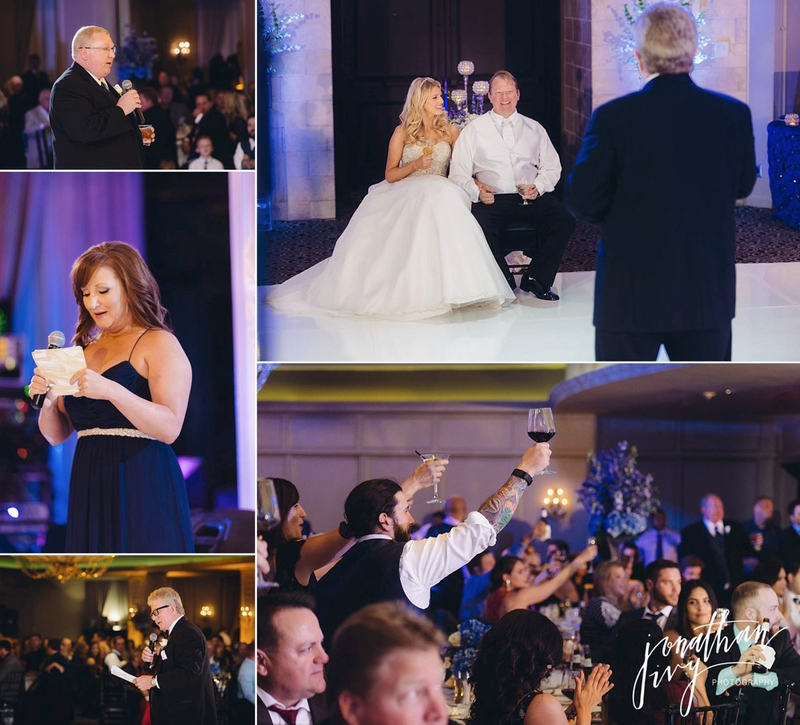 They make every event memorable and perfect! 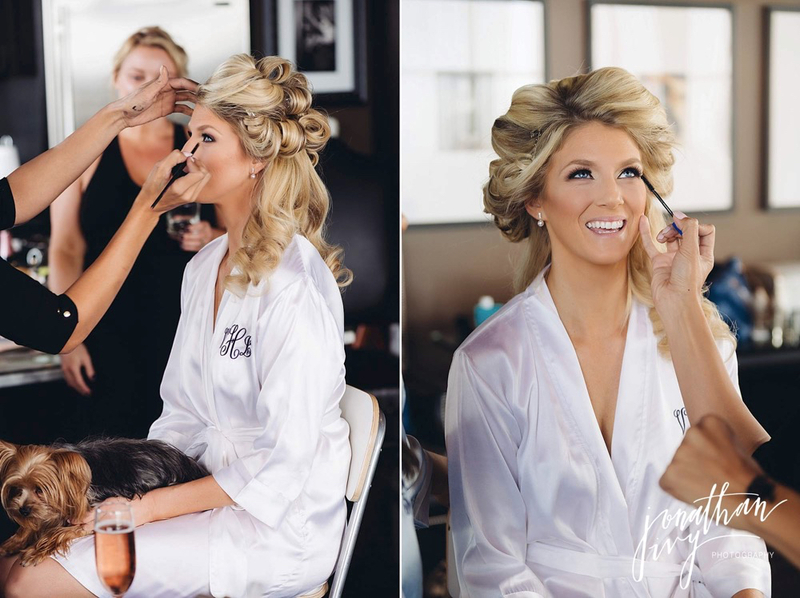 Mid way through the reception Vanessa changed into her 2nd wedding gown. 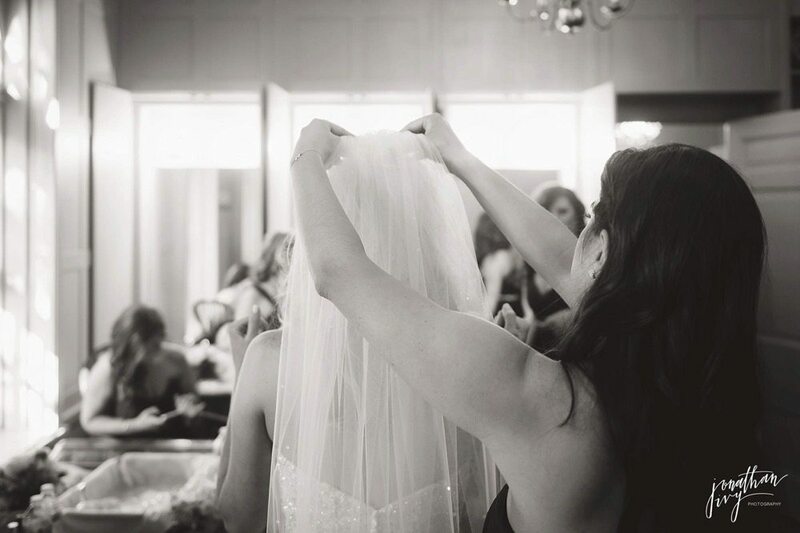 A very sleek, evening gown to wrap the evening in. 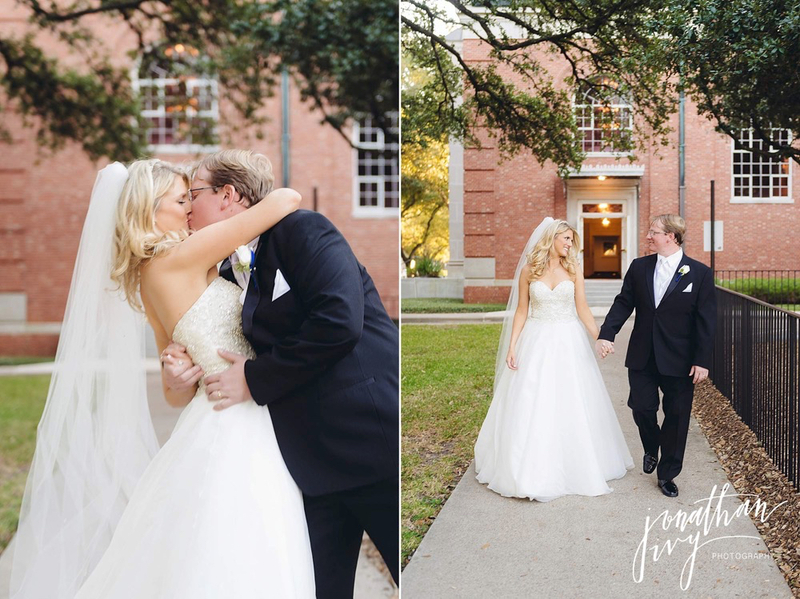 And a Big Thank You to our past bride Amanda Yarberry for sending Vanessa & Jon over to us!